Ben Sinclair graduated from New Covenant School in May of 2009 and went to Clemson University in the fall of 2009 to study Political Science (BA). In the summer of 2011, he started working at Camp Sertoma at the Clemson Outdoor Lab and realized he really enjoyed working with youth. He began to look into careers like social work but was unsure about what he wanted to do. 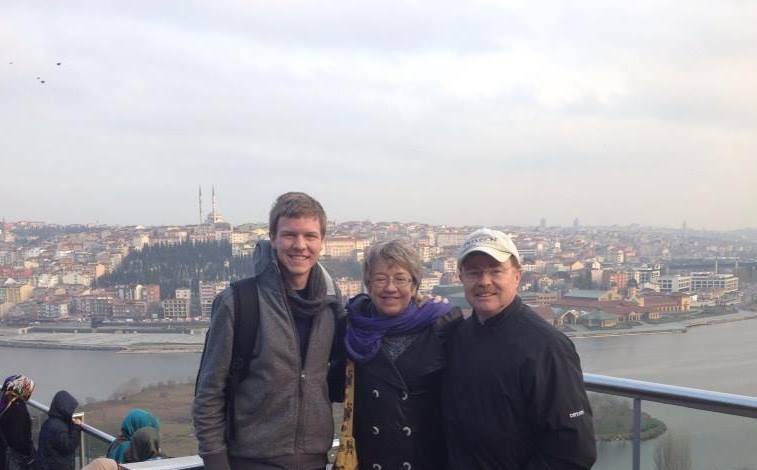 Going into his senior year, he felt called to reach the Muslim world. He joined a faith-based organization that trains believers and sends them overseas as English teachers. He is currently working at Toros Ilköğretim Okulu, a conservative, Islamic, private school in Antalya, Turkey. He teaches 3rd, 5th, and 6th grade classes conversational English and grammar. In January of 2015, he plans to go back to Clemson to get his Masters of Art in Teaching with an emphasis in Middle-Level Education and Social Studies. Please pray that the Lord would bless Ben’s work and that his labor would bring much fruit for the kingdom! Previous PostDrama Production!Next PostThrowback Thursday!